The main function of the SteriTouch Antimicrobial Coating on Apreco VARI-centric® Air Pressure Stabilisers is to offer protection against a range of bacteria including e.coli, MRSA, Salmonella and Legionella, as well as black mould growth biofilm and fungi. SteriTouch eradicates the bacteria which causes contamination and infection. Its purpose is not to create a sterile environment but to act as a complementary measure to routine cleaning. 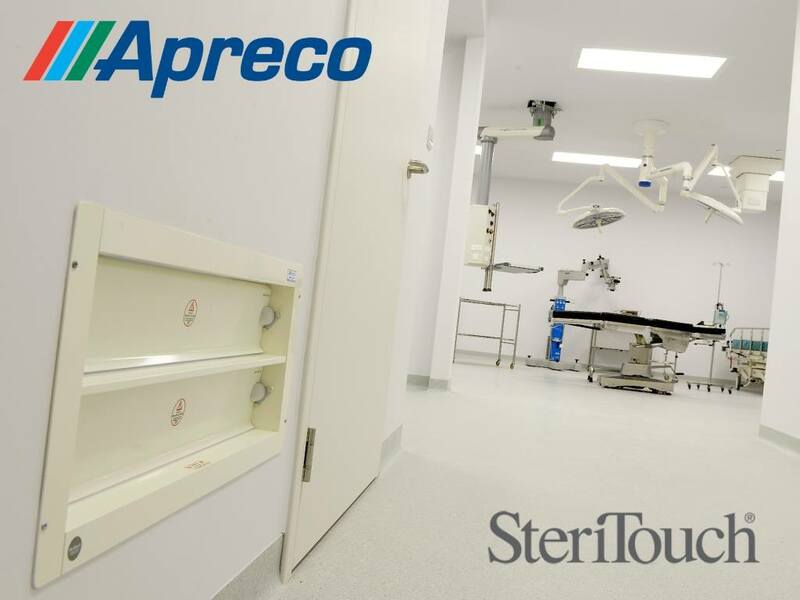 Independent performance tests carried out for Apreco have proven that SteriTouch® powder coated VARI-centric® Air Pressure Stabilisers reduce E.coli and MRSA organisms by 99.999% within a 24 hour duration. Historically brushed Hair Line Stainless Steel has been the material of choice in the healthcare sector, however antimicrobial claims cannot be made for this material. The brushed surface finish on Stainless Steel also acts as a safe haven for bacteria allowing it to survive and thrive even after routine cleaning. For more information visit our Apreco Product Range page or Contact Us.